For the best part of 100 years, Great Britain has prided itself as being a leader of the free world and a champion of liberal values such as the rule of law and human rights. It’s fair to say that Great Britain and these values have shaped the modern world following the end of World War II, 74 years ago. And yet, in Britain today many of these fundamental, universal rights and freedoms, such as the liberty of man, the right to a fair trial and Habeas Corpus, are not afforded to you if the Home Office believes you do not have the right to be in the UK, or you do not have the correct paperwork showing you have the right to be in the UK. In these instances you can be locked up indefinitely – for days, weeks, months or years, without being found guilty of a crime and without going before a judge or having any sort of trial. Welcome to the world of immigration detention. It’s a nightmarish limbo-land in which, every year, the Home Office holds tens of thousands of men and women – in 2017, 27,331 people were detained according to government figures – in one of the 11 immigration removal centres across the UK. These incarcerated men and women do not know how long it will be before they are forcibly put on a plane, restrained and removed from the UK, or, as was the case with more than half of those (56%) held in immigration detention in 2017, be released back into the community. This happens following the Home Office’s suspicions of the detainee’s status in the UK as an illegal immigrant proving unfounded, or their ongoing immigration appeal or application being processed as successful. 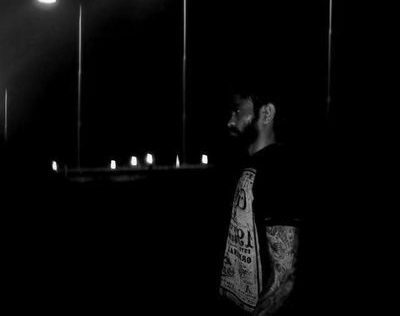 Mishka is in his 30s and a member of Freed Voices, a group of experts-by-experience, raising awareness of the draconian realities of immigration detention. He is an expert not only by virtue of his experience in immigration detention, but also because he is a widely-read campaigner and articulate activist committed to fighting against the Home Office’s ‘despotic’ immigration detention policies. 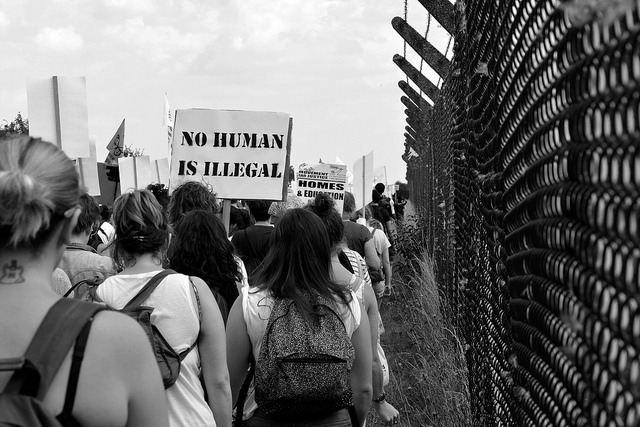 Immigration detention refers to the Home Office practice of detaining people for immigration-related purposes. It is an administrative process rather than a criminal procedure. The reasons to hold a person in immigration detention include one or more of the following: a person’s removal from the UK; to establish their identity or basis of an immigration or asylum claim; there is reason to believe that the person will fail to comply with any conditions attached to the grant of temporary admission or release, such as a risk of absconding; or where there is a risk of harm through trafficking or to the public. There are also occasions when the reasons for a person’s detention change while he or she is already being held. The UK Government has discretionary power to detain at any point of someone’s immigration process: upon arrival in the UK; upon presentation to an immigration office; during a check-in with immigration officials; once a decision to remove has been issued; and after a prison sentence or following arrest by a police officer. Mishka believes it’s the not knowing how long you will be locked up for that is particularly damaging and cruel. You have two uncertainties, one is you are not sure when you are going to be released and, in the meantime, you are uncertain about your ongoing immigration situation – be it a deportation order, asylum claim or human rights application. Being filled with uncertainty has a huge impact on your mental health,” he told RightsInfo. Every single one of us, after detention we have a mental health issue. It is mental torture. How long by law are you able to hold a terrorist suspect? The answer to the question Michael put to the Joint Committee on Human Rights is 14 days. Police are able to hold terror suspects for up to 14 days without charge. Michael was held in immigration detention, indefinitely, for nearly 30 months. His immigration status is still uncertain. Indefinite detention is costly in more ways than one: It costs lives. Since 2000 Inquest has recorded 39 deaths of immigration detainees in immigration removal centres, detention centres and prisons in England and Wales, and 24 of these deaths have been self-inflicted, highlighting the devastating toll that being held indefinitely takes on people. Simon Hilditch, Communications Officer at charity Detention Action, points out that people may have experienced significant trauma before trafficking, torture and persecution before being detained by the Home Office. People in detention have partners and children in the UK, also friends and a community, and the uncertainty has a big impact on the family and their friends too. “We regularly hear from people going through extreme trauma and suffering from a range of serious mental and physical health problems. This is often in relation to previous trauma, such as trafficking, torture or persecution, which detention then exacerbates. But often trauma is a direct result of detention itself; of people being forcibly separated from their families and communities. We often hear from clients and former clients that the indefinite nature of their detention is particularly difficult to cope with. People are given no indication of when they might be released, and are kept in a near-constant state of uncertainty and despair,” he told RightsInfo. This despair is also felt by the families, friends and loved ones of the detainee. “People in detention have partners and children in the UK, also friends and a community, and the uncertainty has a big impact on the family and their friends too,” says Mishka. Hilditch highlights that families are regularly broken up as a result of immigration detention and draws parallels with the Trump administration policy of separating families at the border. “The world was rightly shocked by Donald Trump’s family separation scandal in 2018. But the UK separates families for immigration purposes on a daily basis. The routine detention of children was ended in 2011 and adults are not supposed to be detained if that detention results in a child being taken in to care. Beyond the terrible human cost is the financial cost. Over a four year period from April 2013 to March 2017, the government spent £523.5 million on immigration detention. The revelation led to politicians calling for the introduction of a limit on how long people can be detained for immigration reasons. On top of that between 2012 and 2017 the government paid out £21 million in compensation to 850 people it had mistakenly detained – these include people caught up in the Windrush scandal which saw scores of British citizens illegally removed from the country. The Home Office held an eight-month-old baby in immigration detention for 12 days. Shockingly in recent weeks, it has come to light that the Home Office held an eight-month-old baby, and his mother, in immigration detention for 12 days. It transpired the baby was a British citizen and the baby and his mother have since been awarded £5000 and £20000 by the Home Office, respectively, for false imprisonment. In 2016 the former prison ombudsman Stephen Shaw carried out an independent review of indefinite detention and found that it costs on average £92.67 to keep a person in detention for one night, amounting to nearly £34,000 per year. Indefinite detention breaches human rights both in international agreements that the UK is a signatory to and also under the Human Rights Act 1998. However, the Universal Declaration of Human Rights is an international treaty and is not legally binding. You don’t need to look closely at indefinite detention to see that it is fundamentally at odds with basic principles of human rights. The Home Office is also taken to court over Article 3, The Right Not to Be Tortured. 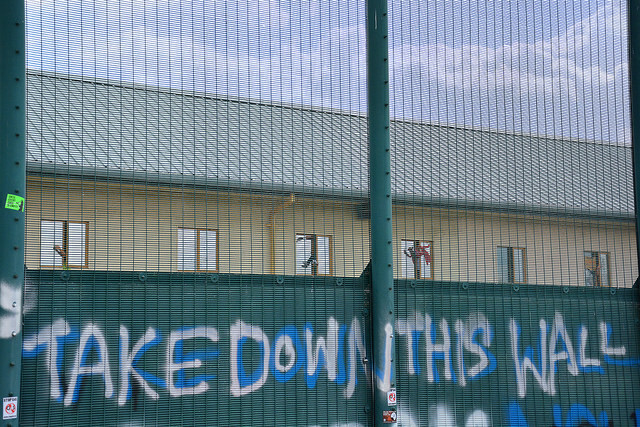 Various undercover investigations, most notably by BBC’s Panorama and Channel 4 News, have shown that staff verbally abusing detainees and using violence are a feature of everyday life in immigration removal centres. Thanks to the hard work of campaigners and charities, pressure is building on the government to introduce a time limit to indefinite detention. They highlight that the UK is the only country in Europe not to have a statutory limit on immigration detainees. Detention Action would like to see two changes; the establishment of a strict 28 day limit and judicial oversight of immigration detention. “We want to see the introduction of a strict statutory time limit of 28 days and we believe that every person who the Home Office wishes to detain should come before a judge within 96 hours. There is no reason for the government to detain people who are not facing removal within a matter of days and it should not be permitted for them to do so,” Hilditch told RightsInfo. We are the only country in Europe which has unlimited administrative detention and I think it’s quite wrong in a free society to lock people up for an indefinite period. A growing number of cross-party MPs, including Labour leader Jeremy Corbyn and former Cabinet minister and Conservative Party whip, Andrew Mitchell, are backing the call for a statutory limit to immigration detention to be incorporated into the Immigration Bill, legislation that will outline the UK’s post-Brexit immigration system, as it makes it way through parliament. In December 2018, Immigration Minister, Caroline Noakes outlined key priorities for the government regarding immigration detention, including keeping the practice to a minimum, trialling alternatives to detention, introducing systematic safeguards, increase transparency and ensuring the dignity of people held in detention. In a letter to the Joint Committee on Human Rights, she also outlined, the government would consider time limits on detention further in due course. Mishka is hopeful that the law will be changed and others won’t have to go through the unnecessary trauma he, Michael and thousands of men, women and children have gone through. “After the Windrush scandal and the Panorama programme revealing abuse in detention centres, and the campaigning by human rights organisations, charities and NGOs, huge momentum has gathered and the Home Office and government is under a lot of pressure.